Please join us in congratulating Facial Plastic Surgery Associates (FPSA) surgeons, Russell Kridel, MD and Angela Sturm O’Brien, MD, on being named H-Texas Magazine 2013 Top Doc for Facial Plastic Surgery. 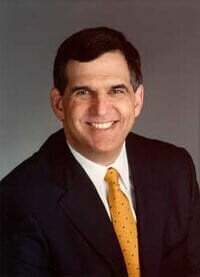 Dr. Russell Kridel is one of the most highly honored plastic surgeons in Houston and has received the H-Texas Top Doc award annually since 2006. It is the first year Dr. Sturm has been eligible for this status--- a significant achievement as a new associate to FPSA. Only the top 1-2% of doctors receive the “Top Doc” honor based upon votes from both physicians and patients. She has also received the 2013 Top Women in Business award. "I love what I do and am always so humbled by the kind words and accolades from patients and other surgeons. Dr. Sturm and my entire staff are all so passionate about providing our patients with the best possible care, so this is a great achievement for them as well,” said Houston-based facial plastic surgeon Dr. Russell Kridel. “As a new associate, I deeply appreciate the recognition and support from physicians and patients. I am absolutely thrilled to be named a Top Doc and will continue to strive to deliver the highest level of care,” declared Dr. Angela Sturm. Facial Plastic Surgery Associates is located in the prestigious Texas Medical Center. Dr. Kridel and Dr. Sturm offer the most technologically advanced surgical and non-surgical facial rejuvenation techniques in a beautiful and elegant setting.